Wayne, Pa. (August 28, 2018) —Tekni-Plex, Inc. has announced that Tyler Sun has joined the company as director of strategy and market development—Asia. The position has been created to help shape and drive growth in China and other parts of Asia. Sun is a consumer packaged goods and product executive with strong marketing and business development experience. He has 15-plus years of experience working with leading multinational corporations in Asia. 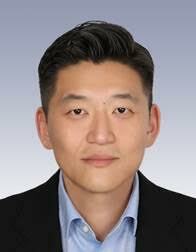 Most recently, he was a regional market development director, home and beauty segment, for Aptar, Suzhou, China. There, Sun was instrumental in developing strategic plans, market and product development and creating a speed-to-market process. He has also held positions with Toly in Hong Kong, MeadWestvaco in Shanghai and Calmar in Kansas City, Missouri, where he delivered tactical and strategic plans for a number of product and market categories. Sun has a Bachelor of Arts in business communications and telecommunication technology from the University of Kansas. He resides in Suzhou, China. The post Tekni-Plex names new director of strategy and market development—Asia appeared first on Tekni-Plex.